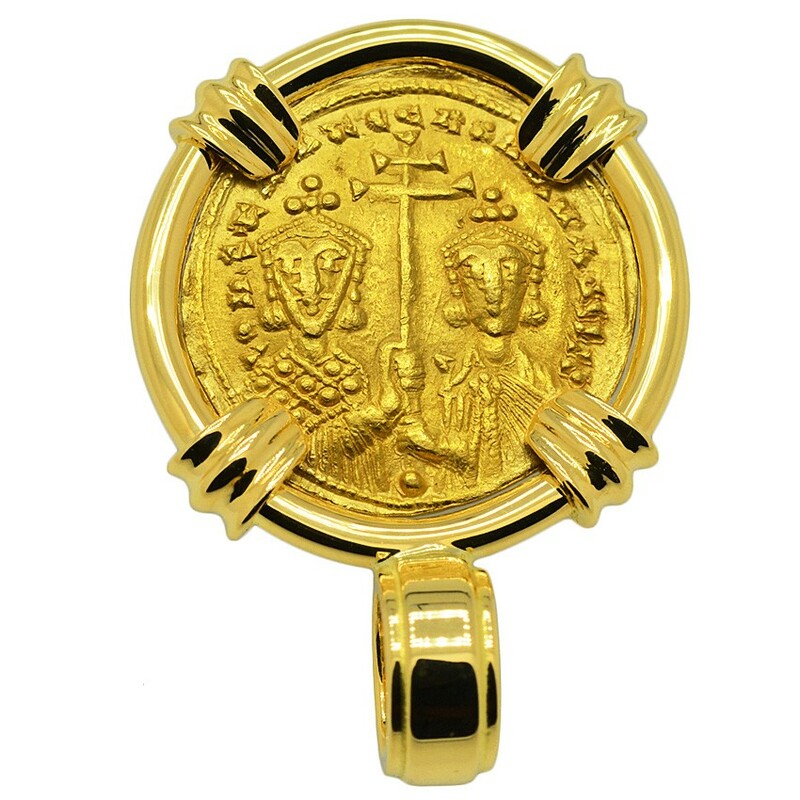 This 10th century coin features Jesus Christ Pantokrator “Christ in Majesty”, wearing a cruciform nimbus crown, pallium and colobium, while holding a Gospel book and raising his right hand in benediction. 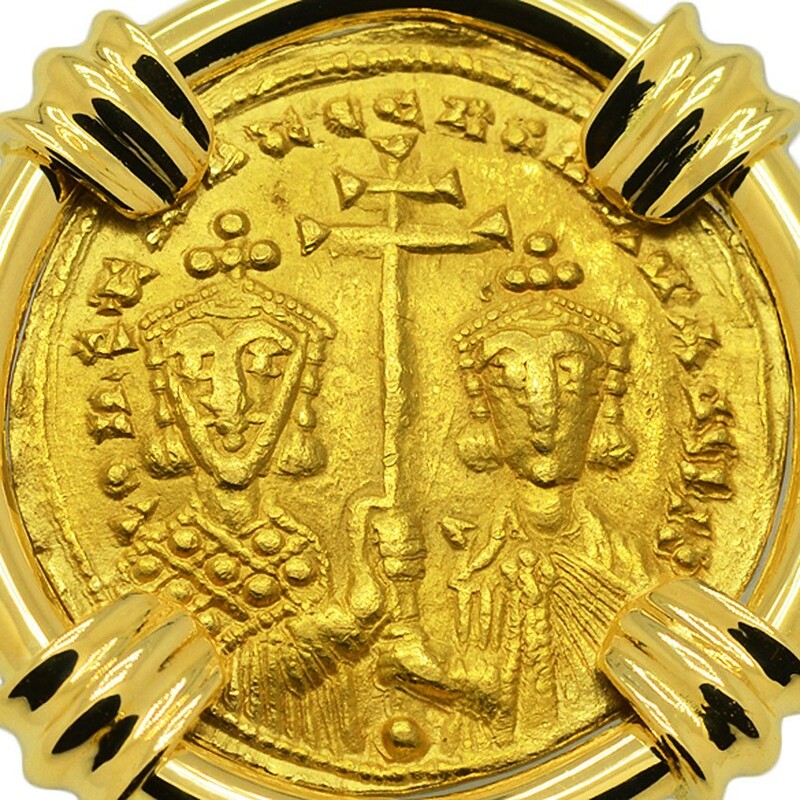 The reverse of this gold coin depicts the crowned Emperor's Constantine VII wearing loros and Romanus II draped, while holding a long patriarchal cross between them. The Byzantine Empire was the Eastern Roman Empire during the Middle Ages, home of the Eastern Orthodox Church and a cradle of Christianity. 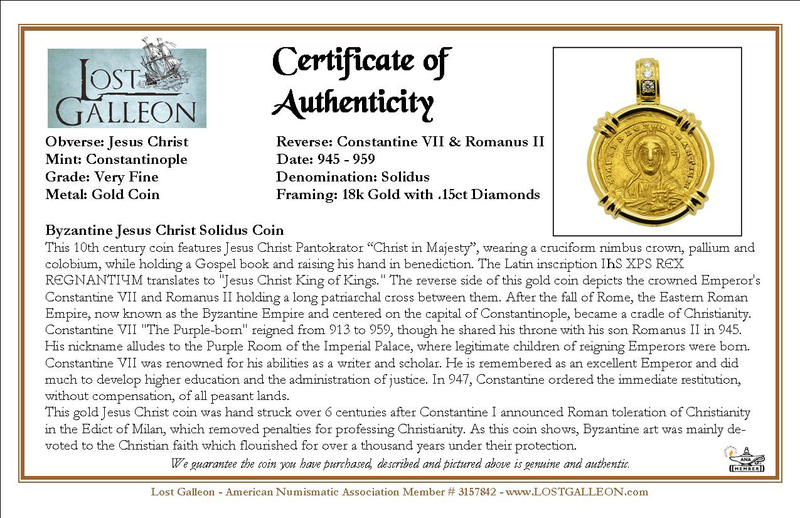 Constantine VII "The Purple-born" reigned from 913 to 959, though he shared the throne with his son Romanus II in 945. His nickname alludes to the Purple Room of the Imperial Palace, where legitimate children of reigning Emperors were born. 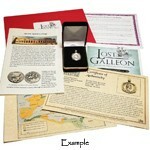 Constantine VII was renowned for his abilities as a writer and scholar. He is remembered as an excellent Emperor and did much to develop higher education along with the administration of justice. In 947, he ordered the immediate restitution, without compensation, of all peasant lands. 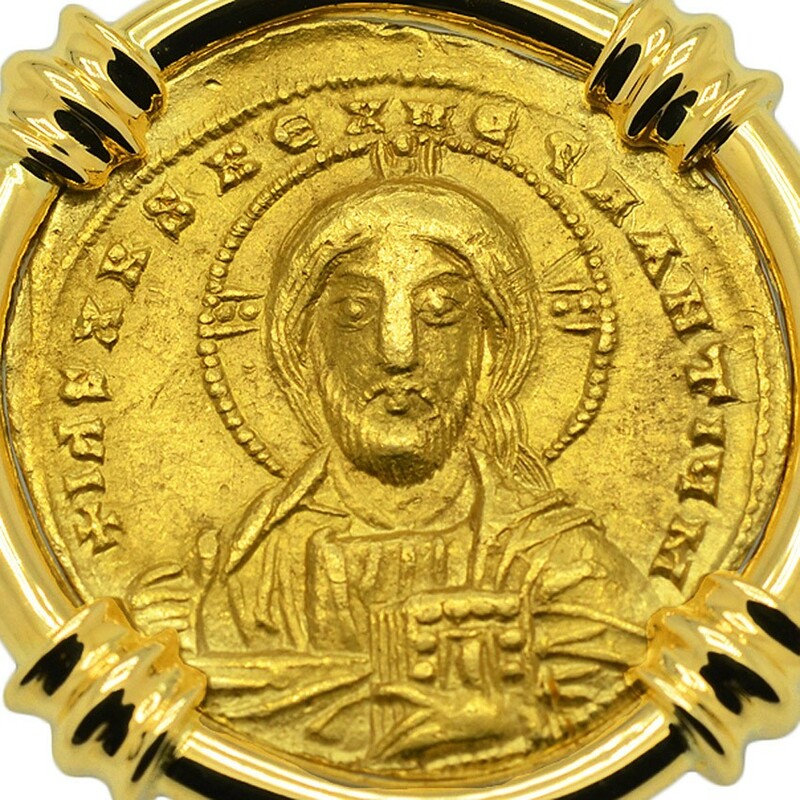 This gold Jesus Christ coin was minted 6 centuries after Constantine I announced Roman toleration of Christianity in the Edict of Milan, which removed penalties for professing Christianity. 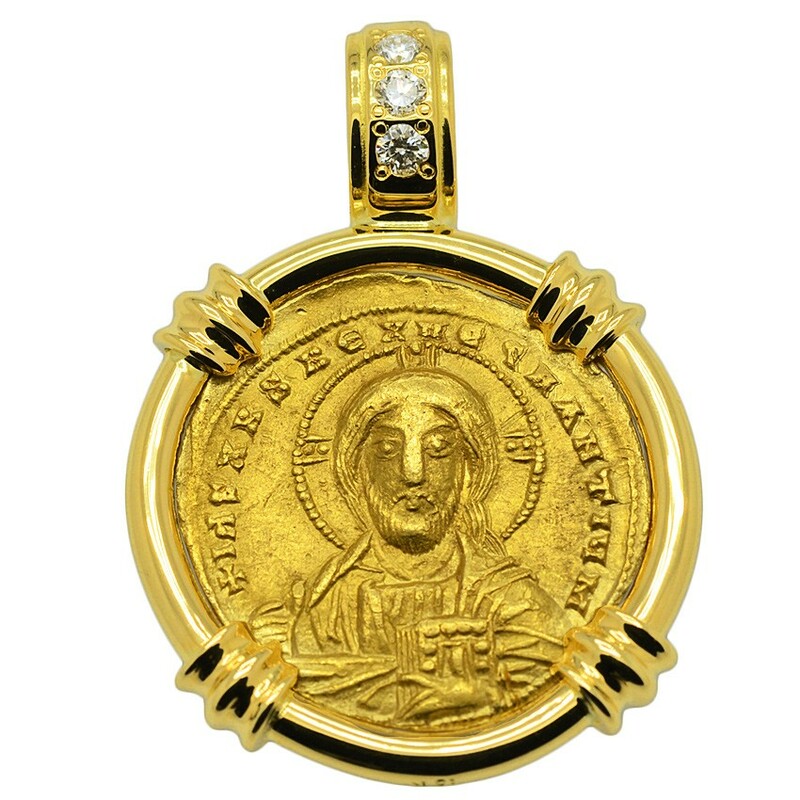 As this coin shows, Byzantine art was mainly devoted to the Christian faith which flourished for over a thousand years under their protection.